Edward S. Curtis (1868-1952) began photographing Native Americans in the mid 1890’s. He sold the images in his successful downtown Seattle studio. The soft focus sepia-toned images appealed to many who viewed Indians as heroic characters of a vanishing race. Curtis was fortunate to gain recognition and endorsement from President Theodore Roosevelt and financial backing from J.P. Morgan. In 1906 J.P. Morgan gave Curtis $75,000 to pay for the fieldwork necessary to create the images. Morgan stipulated however, that this money could not to be applied to the cost of writing, editing or publishing the 20 volume North American Indian project. In order to raise money for the publication, Curtis sold subscriptions for the ethnographic text illustrated with high quality photogravures taken from his glass plate negatives. He hoped to find enough subscribers to print 500 sets but he was only able to find 222 subscribers. Curtis travelled thousands of miles carrying large glass plate negatives to take tens of thousands of photographs of 80 tribes. His intent was to document traditional Indian cultures, record information on the languages, customs, and dress of the tribes and to write biographical sketches of many of the tribal leaders. 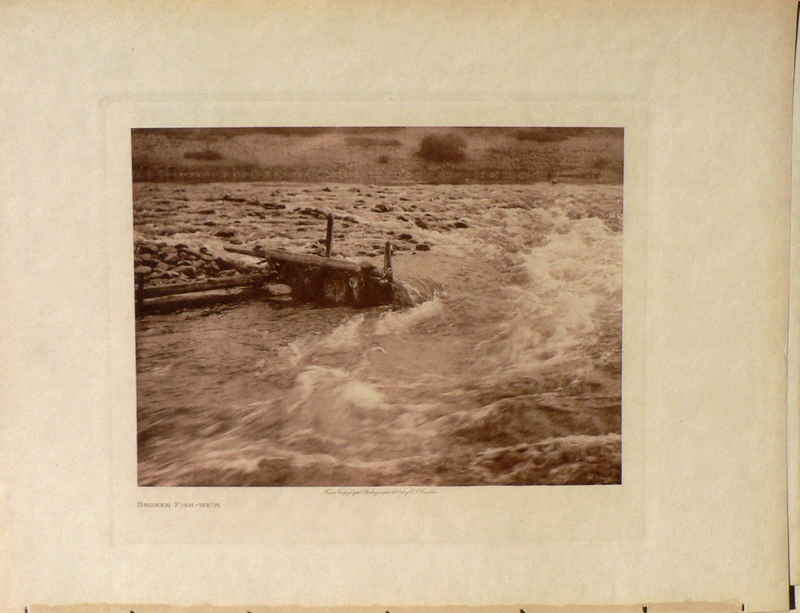 The photogravures contained within the North American Indian portfolio were of two sizes: approximately 5 x 7 inches and approximately 12 x 16 inches on longer sheets. They were printed on one of three hand-made papers: Japanese vellum, Dutch “Van Gelder,” or Japanese “tissue” (also known as India Proof Paper.) Curtis elected to use the expensive printing technique of photoengraving because it produces prints which have the subtlety of his original glass plate photographs and the art quality of his photographs. 6 x 8 inches, plate. 12 ½ x 9 ½ inches, sheet.